Serious and fatal attacks inflicted by well-documented dangerous dog breeds, primarily pit bulls, are a frequent occurrence in Texas. To help inform more Texas citizens about this issue, DogsBite.org has created a Texas victims' advocacy email list. Please sign up to stay informed. Keep in touch with the Texas dog bite victims' advocacy network. The male dog named "Bam Bam" had been given to the family as a gift three years earlier. 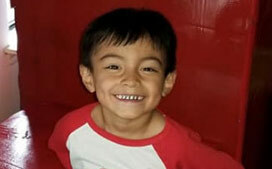 A family friend said Noah and the dog had interacted well in the past. 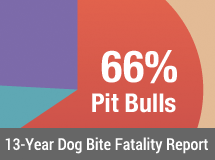 View Texas dog bite fatality statistics, Texas dog bite studies and key blog posts. View national fatal dog bite injury statistics and regional nonfatal dog bite injury studies.